Got my stuff in today. No photos yet, but I grabbed the white and toothpaste Armors, Hades, and Argen. I'm SUPER STOKED that I finally have a Hades. I've been wanting a Hades of some kind for years now, and having him in-hand is a huge weight off of my "wanted" list. 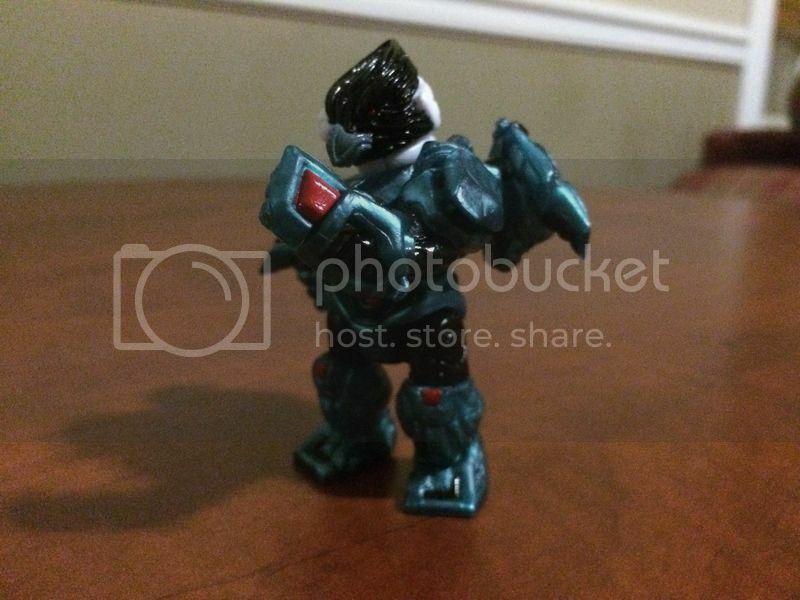 The extra Sarvos hips he comes with have full teal highlights, so I swapped that piece on instead of the belted waist. Pretty good stuff. The Glyarmors are great, too. The new armor bits are much sturdier on the limbs than the Skeleden stuff, and it's a great revitalization of the Traveler build. I -LOVE- this new Sarvos helmet. My only problem now is I gotta find a white torso piece to shove the Bird head onto; I'm not taking apart the Stormtrooper. As for the toothpaste colorway...it's way more overwhelming in person than in the photos. Has anyone found any good color combos to go with it? The met blue from last time around is juuust too dark in my opinion. This new stuff practically glows on its own. Got my guys! This has to be one of my favorite drops yet! And I LOVELOVELOVE the new bird heads! And both Gunmetal colors too. I haven't opened everything, but that Villser Core green has become my fast favorite of recent colorways. And I dig how well these two guys mash up. McBalderus wrote: My December Haul! Loving this drop, aside from the Stealth Armor's Kneepad/Gauntlet pieces don't fit the hands properly for some reason. Heat those armor pieces up a bit and they'll conform better around other parts. This also helps when building with a PVC that's a bit more rigid than usual. The Glyarmor vambraces don't even really need heat. Just knead them with your fingers a bit -- body heat and the flexing will soften them enough to get them settled over those big ol' Traveler hands. Great example of how well the Glyarmor lends itself to bulkier traveler builds. It would probably look great as the torso for a Rig Killer too. iwao wrote: Great example of how well the Glyarmor lends itself to bulkier traveler builds. It would probably look great as the torso for a Rig Killer too. I'd like to see the Rig Killer adapted for the Glyarmor. Some modifications would have to be made since the Glyarmor chest piece blocks the back socket of torsos though. Got my order today ! I was worried since it wasn't in the mailbox when I got home from work but the mailman arrived twenty minutes later with my package! Loving the Glyarmor and Hades! And I even got a free hub set and Phaseon to go with my Glyan! Woot! I think I'll make a Villser Core Deep Space Glyan! 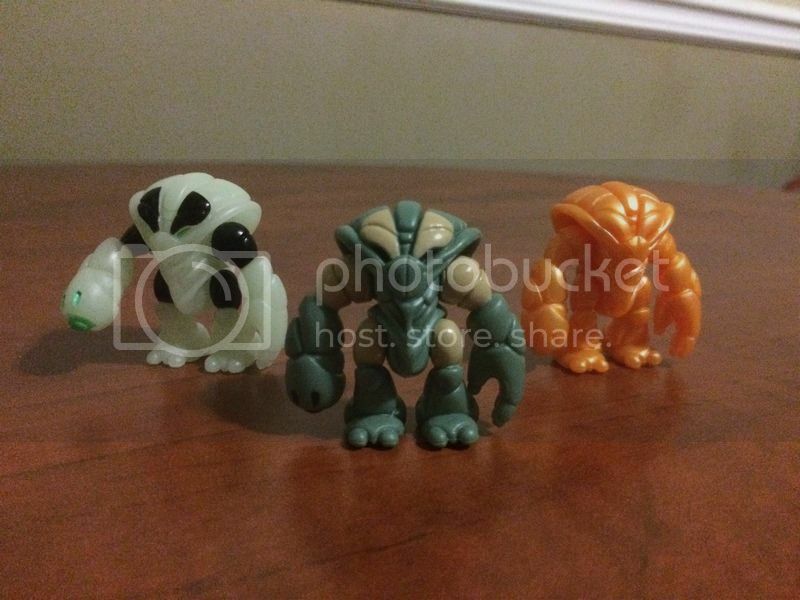 Here's a look at Type Zero Crayboth alongside the stowaway and Spectre Crayboth! Looking good like this, even if the white doesn't match. I just want to mention that the Villser Core color is kind of...weird. It's a beautiful color (I think it may be my new favorite), but it's so cool yet weird that it's a metallic shiny color that changes it's shade a little bit when lit hits it in different ways. Not to mention that it has a slight translucency to it. I really don't know how to describe the colors of the Type Zero crayboth... it's like a tealish grey? With this sort of super light brown? Vocabulary fails me but I ADORE IT! I think it's my favorite crayboth so far and I really want some figures in that scheme come next month! I think it would look great on a Noboto/Protoclone, especially if the smooth head (which one is which?) is the pale brown with completely black eyes. I also want an orange Glyarmor on top of a Sunstorm yellow body. Bravecarrot22 wrote: I just want to mention that the Villser Core color is kind of...weird. It's a beautiful color (I think it may be my new favorite), but it's so cool yet weird that it's a metallic shiny color that changes it's shade a little bit when lit hits it in different ways. Not to mention that it has a slight translucency to it. Yeah you put that Glyan or Phaseon in front of a lgiht source and it just shines through! It's kinda nuts! Undrave wrote: I really don't know how to describe the colors of the Type Zero crayboth... it's like a tealish grey? With this sort of super light brown? Vocabulary fails me but I ADORE IT! I think it's my favorite crayboth so far and I really want some figures in that scheme come next month! I think it would look great on a Noboto/Protoclone, especially if the smooth head (which one is which?) is the pale brown with completely black eyes. Type Zero has a dark seafoam green and a very light beige. My dudes came in today! My rotting carcass is too tiresome to deal with photos now, but I'll be bringing them to work with me tomorrow upon my re-resurrection and shall be posting some photos. Glyarmor is truly sinister I find it quite lovely. This probably belongs in Traveler's Tales, but what have I to lose but yet another ligament? I immediately think of Sarvos when I see the Glyarmor helmet. But upon inspection with dimensions between the helmet and the Pheyden head, I'd reckon any Pheyden could be in Glyarmor as well. Are there any chunks of MattCanon lore I missed out on regarding who can wear the Glyarmor? I know my personal canon can do whatever I wish, but it's nice to have closure on what Matt envisioned when sculpting these beauties. Funeral wrote: My dudes came in today! The new head is called Neo Sarvos. Joining forces with the most advanced thinkers on Metran, the Varteryx and Glyaxia Command unite to create the Glyarmor aboard Hades' Block Base Cerberus. Greatly augmenting a user's natural abilities through a psychic fusion to the armor itself, the Glyarmor also serves as a direct countermeasure to Black Core technology. 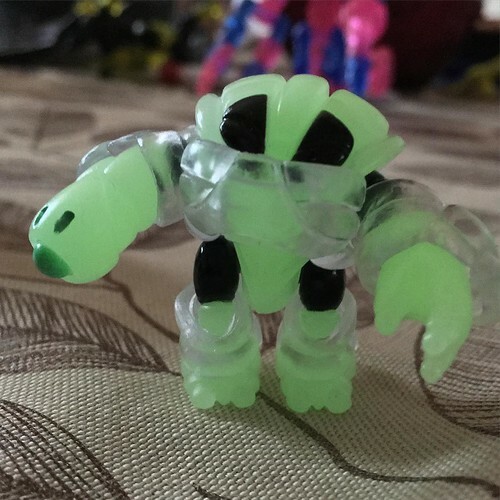 Employed by the Elite Enforcer Units of Glyaxia Command, select Travelers meld with the newly developed Glyarmor to evolve into a previously unseen Neo Sarvos form. Undrave wrote: The new head is called Neo Sarvos. Can't say I'm surprised by that bit of blog though. In other news, I'm glad to see the resurgence of Enforcer! Something about white/black does it for me- though if this were reversed with black w/ white accents, I'd love it even more. I'm definitely regretting picking up some Villser Core, but I'll scoop one up secondhand when it is time for me to do so. This was a great Christmas present from myself :p and Villser Deep Space Glyan works well. I kinda wish I had swing joints to go with it... I got a gunmetal Phaseon I'm not doing anything with, I wonder if I could mix those two colors well? The cat must have sold out quick, I didn't even see it available in the store. Neo-S's head feels like two pieces, but I can't seem to pull them apart. NoPaintRequired wrote: Neo-S's head feels like two pieces, but I can't seem to pull them apart. I'm pretty certain it is 2 parts. The paint probably got really stuck. Might be glued like a Crayboth body. 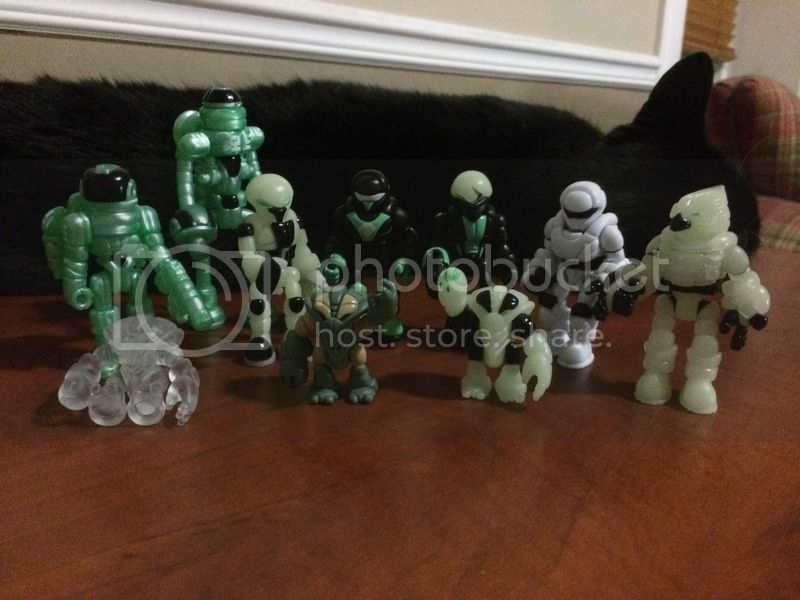 Anybody got one of the clear sets could post a close up? 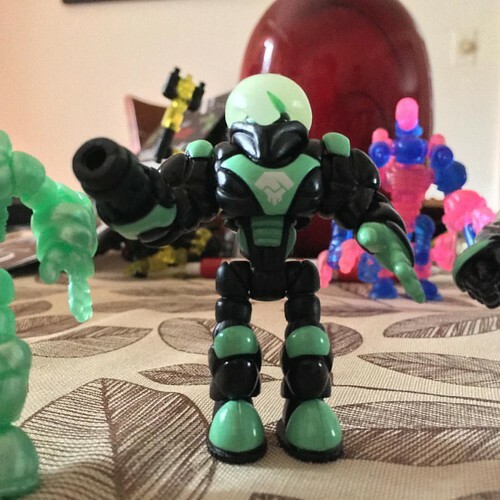 If it's meant to detach we should see the glyos peg inside. I promise you it is two parts, I have pulled mine apart. The neck cylinder is male-male. Went for it because I wanted to be sure myself, and yeah, successfully separated the two pieces. So the armor is compatible with a crayboth, eh? Also despite his grave injuries it looks like Hades was juicing during his absence. Matching sets. The OCD in me doesn't want to cross the colorways just yet.